Just like humans, cats can get sunburn too. Over time the damage caused can increase the risk of developing squamous cell carcinoma which is a form of skin cancer. 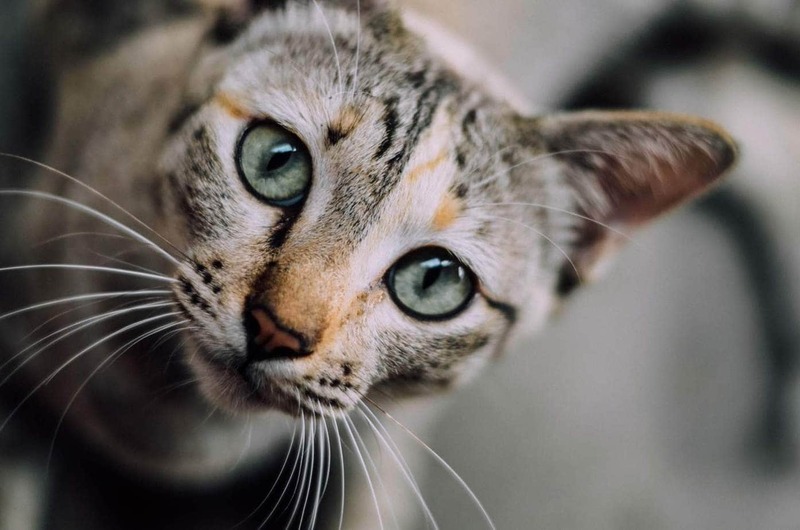 White and light coloured cats, cats with white or light coloured ears, noses and breeds with thin coats such as Devon Rex, Cornish Rex and Sphynx cats are most susceptible to sunburn. This is because of the lack of melanin (skin and hair pigment), and protective hair in these areas. The ears are most commonly affected, although eyelids and noses can also develop sunburn. Outdoor cats, especially those who spend a lot of time outside are also at greater risk. Solar dermatitis (also known as actinic dermatitis) is a common disorder in areas with warm, sunny climates. Many pet owners don’t realise their cat has sunburn or solar dermatitis and mistake them for other skin disorders such as allergies. Just as with other burns, sunburn can be graded according to the severity of the burn. The top layer (epidermis) of skin is affected, there may be some mild redness of the skin, but shouldn’t be any loss of hair. The top (epidermis) and deeper layers of skin (dermis) are affected and the skin is red and painful. There may be some hair loss along the margins of the ears. There may also be swelling and a great deal of pain. The burns have extended to all layers of skin and possibly the underlying tissue. Hair loss has occurred and the affected area may be white. There will be no pain if the nerves have been destroyed. Keep in mind that a cat with sunburn may also have heat stroke. Symptoms of heat stroke can include panting, bright red gums, drooling, weakness, anxiety, bleeding and collapse. Sunburn can usually be diagnosed during physical examination of the burned tissue. If an infection is present a sample may be taken and cultured to determine the type of bacteria present so that the best antibiotic can be prescribed. There are a number of conditions which produce similar symptoms to solar dermatitis, so your veterinarian may need to perform some tests to come up with a definitive diagnosis. Skin biopsy and histopathology to evaluate the cells and look for other possible causes such as mites. Seek veterinary attention immediately if you think your cat has sunburn. Sunburn is exactly that, a burn to the skin and it is extremely painful. Treatment depends on the severity of the burn. The area will be clipped and a topical antiseptic applied. Topical antiseptic applied to the affected area. Antibiotics to treat bacterial infections. Topical or oral steroids if the sunburn is severe. Intravenous fluids may be necessary as severe burns often result in fluid loss. 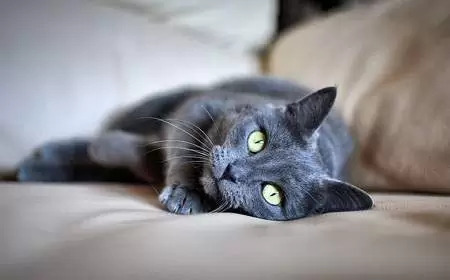 Limit your cat’s exposure to the sun by confining him/her indoors during the hours of 10.00am – 4.00pm which is when UV rays are at their strongest. Sunburn can occur even on cloudy days. Application of a waterproof sunblock. Speak to your veterinarian about which brands are safe to use on cats. Do not use products containing octyl salicylate and/or zinc oxide as these are toxic to cats. Provide your cat shelter from the sun if he goes outside. A dog kennel, an undercover area or foliage. For indoor cats, pull the shades down on hot days. Remember that cats can also be burned through the glass, if your cat likes to bask in the sun, apply UV blocking window film. Early detection is important, so your veterinarian may wish to take a biopsy to determine if your cat has sunburn or squamous cell carcinoma. Remember on sunny days to ensure your cat has access to cool, fresh water. Add some ice cubes to help it cool down. Rinse out a balloon and then half fill it with water. Tie a knot in the top and freeze overnight. Remove the balloon the next morning, and you will be left with a large ice cube. Place in a tray to keep your cat cool.